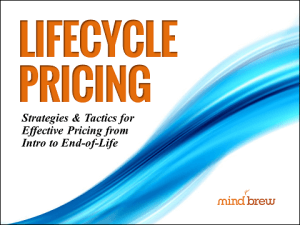 Over-discounting in the field is a frustrating reality for most B2B pricing teams. In many companies, it happens hundreds or even thousands of times a year. Small customers will get big customer prices. New customers will get long-time customer prices. On and on, the instances of seemingly irrational pricing decisions being made in the field never seems to end. So, how do you prevent it from happening? In this Expert Interview, Chaz Napoli, the Chief Operating Officer at Insight2Profit, shares the strategies and tactics he's found to be effective through hundreds of customer engagements. In this insightful conversation, Sean Arnold helps us sort through the issues and understand our options when addressing the latest addition to our list of pricing challenges: trade tariffs.